Joe Bolton was born in Kentucky in 1961 and died by suicide in 1990 at the age of 28. I recently read The Last Nostalgia: Poems 1982-1990, and found much to admire. Prior to his death, Bolton had published one collection and had a second scheduled for publication. Selections from both appear along with newer work in this posthumous collection, edited by Donald Justice and published in 1999 by The University of Arkansas Press. In his brief Introduction, Justice informs us that Bolton won a scholarship to the University of Mississippi but left after his freshman year. He transferred to Western Kentucky University where he earned his BA. He then migrated from one creative writing program to another, eventually earning his MFA from the University of Arizona. Although he had a book coming out soon, he apparently felt that his best work was behind him and he had no prospect of a job. He turned in his thesis, a collection of poems entitled "The Last Nostalgia," then took his own life, leaving no note. The Acknowledgments page of The Last Nostalgia lists an impressive number of publications in respectable journals, such as Agni, Black Warrior Review, Crazy Horse, the now defunct Cumberland Poetry Review, The Formalist, The New Republic, North American Review, Poetry, and Wind. The poems reveal a poet who might be called a Romantic with his persistent fascination with suicide, death, and nature. Bolton might also be regarded as a Southern poet with his attraction to decadence and darkness and his attention to Southern settings and local color. And he might be regarded as a quintessential American poet whose work often deals with cities and small towns, waterways and boats, well-known American figures such as Sherwood Anderson and Hank Williams, and Americana such as diners. Bolton was comfortable working with both free verse and forms. He was a poet of much achievement and even greater promise. Here's one of my favorite Bolton poems. Are the face they make. Had she not left you . . . The last of the dream from you. Of time has torn away? Then undress to lie down. I like the use of repetition, the format, the slow slide into memory, the sharp jolt back into the present. I like the tone of sorrow and regret, ie, the nostalgia. The language is simple, even perhaps flat, but for me that makes the emotion more poignant. Last night was the Gothic reading at the Kuran Arts Center in Fanwood, NJ. Hosted by poet Adele Kenny, the reading included a total of 7 poets, each properly attired in gothic outfit, though the term "gothic" was left open to interpretation. Each poet, with the exception of Adele, read two poems in the gothic tradition, each by a dead poet. Then four of us read two of our own poems of a "darkish" nature. This is the Kuran Arts Center, formerly a carriage house, where the reading was held as part of the Carriage House Poetry Series. Adele Kenny, poet and series director, decked out in an outfit she made herself! She spent two months with needle and thread. The skirt sported a real old-fashioned hoop. Adele complemented her outfit with fangs. She opened the reading with "Spirits," a poem she composed for the reading. Tom Plante, editor of Exit 13, read Frost's "I Have Been One Acquainted with the Night" and Shelley's "A Dirge." Note the authentic Victorian piano shawl and candelabra. Rev. Alex Pinto, an authentic Catholic priest, read Dante Gabriel Rossetti's "The Heart of the Night" and Poe's "Spirits of the Dead." Clearly, some poets are bolder than others! Susanna Rich read two poems by Emily Dickinson, "I Heard a Fly Buzz" and "Because I Could Not Stop for Death." Bob Carnevale read Frost's "The Pauper Witch of Grafton," dressed as the witch herself. This photo captures Bob hanging out in the attic. Me, sporting hot pink streaks in my hair and an evil-looking tattoo. I read Joe Bolton's "Black Water" and Frank Stanford's "Freedom, Revolt, and Love." Both of my poets died by suicide, Bolton at 28, Stanford at 29. Amazing poets who should be better known. Cat Doty read Christina Rossetti's "After Death" and Marianne Moore's "A Grave." Notice the spirits lingering on the piano. Linda Radice, as the Ghostly Lady of the House, greeted audience members in her vintage wedding gown and veil. We hope the audience enjoyed the reading. We know the poets did, both the living and the dead. Thanks to blogger Allen Taylor for featuring my poem, "Eve Argues Against Perfection," at his blog, World Class Poetry. Allen also offers a fine analysis of the poem. Check it out and visit the site for lots of good poems and links. I am also indebted to Allen for introducing me to the Share to Facebook link that now graces the bottom of this post. It took me three days of intensive labor to figure out to get it to work right, but I think I have it in good order now. If you belong to Facebook, you can click the link and it will automatically add the current post to your profile. That is, if all is in good order. Speaking of cool things on the internet, yesterday another poet made me aware of a new site called Title Page, which the About page describes as "a 21st century version of the Algonquin Round Table." Each month features a podcast of a group of authors in conversation. The current episode, which is number four so far, features novelists Elizabeth Strout, Meg Wolitzer, and Mark Sarvas and poet Edward Hirsch. They "talk about the rich, expertly written inner lives of their latest characters—men and women grappling with hard decisions, stalled careers, uncontainable grief, and redemptive love." It's a 41-minute podcast, so pull up a chair and enjoy. At the site you can sign up for the email subscription. Then you'll be notified each time there's a new podcast. Here's a geeky tidbit for you in case you've been wondering how to save images as jpegs. When you have found one you want on the internet or in an email, just put your mouse on the image, click, hold, and drag to your desktop. The image will immediately be saved there as a jpeg. Warning: If you're on AOL, the image will save as a "picture clipping." I'm not able to upload these to Blogger, so if the image is from an AOL email, I forward the email to my gmail account. If the image is on the web, I open in Safari or Firefox. I'm one of seven poets in a reading this Friday, April 25. If you're anywhere near Fanwood, NJ, do stop in. It promises to be most unusual. It's called "Gothic," and we will all be dressing appropriately. All seven poets will read one poem by each of two dead poets, poems that have some connection to the Gothic tradition. Then four of the poets, including me, will read a few of his or her own poems of a "darkish" nature. My dead poets are Joe Bolton and Frank Stanford. The reading is part of the Carriage House Poetry Series, hosted by Adele Kenny, and will be held in the Kuran Arts Center at 7:30. The following article appeared in Fanwood's local newspaper. To see the article in larger size, double click on it. I've just finished two days of a terrific school visit. This visit was like dessert. The school is Mount Saint Mary Academy, an all-girls Catholic high school in Watchung, NJ. The address is Rt. 22, a heavily traveled highway, so I expected something looking sort of like a factory. Big surprise. And the school isn't really on the highway. I turned off the highway, then drove up a long, winding, tree-lined side road and found the school situated on the top of a hill. This is the main building, what I first saw as I approached the top of the hill. As you can see, it doesn't look anything like a factory. As I entered the building, I saw immaculate marble floors and polished dark wood. Up a short stairway I found this lovely entryway. Here is the main lobby. Not anything like any of the public schools I've visited. Real oriental carpets, brocade chairs and sofas. To the right of the entryway I found this gorgeous living room. Those are two pianos at the end, each to the side of a harp. Students go here during free time to practice their music. I went here during my unscheduled time, and I visited one combined class in here. Here's a close-up of the music end of the living room. On the first day I visited 3 classes of 9th graders. On the second day I visited 4 classes of 9th graders. It was just so lovely to be with big kids again. Classes were all small and the girls were wonderful. I'd sent three poems ahead of my visit, and the girls had read them. So I began with a short reading of those poems. Then we had a Q&A. Great questions—how did you become a poet? who are your favorite poets? how did you develop your reading style? is everything in your poems true? how does it feel to see your own book in a bookstore? why do you write about fruits and vegetables? After the Q&A I had the girls do a writing activity, followed by a reading of some of the drafts. I used 3 different activities so that the two teachers would be able to use two additional ones on their own. Lunch each day was in the dining room, also very nice, carpeted, wood tables, nice choice of dishes—and free! A free lunch is a teacher perk in this school. Although teaching staff is all laypeople, there were many nuns as they run the school, serve in various capacities such as principal and bookstore manager, and live in the apartments upstairs. It was a very friendly place and I loved it. I thank Karen Engelmeyer for arranging the visit. What a pleasure to be with a teacher who loves poetry and knows that there's a big difference between just reading the poems and having the poet in the building. It makes me quite happy to know that within two days something like 120 new poems were written by the girls of MSM. On the first day of the third grade residency I did this past week, one boy asked me, “Are you a Famous Poet or a Regular Poet?” I was at a loss for an answer. I was quite sure I didn’t qualify as “famous,” but wasn’t sure what “regular” was, though it was clearly the less appealing position. So I just mumbled something about being in between. We then moved on to doing our poems: a color poem, a third eye poem (based on the prompt designed by Ron Padgett), a galaxy poem (the kids had just been to the Planetarium), and a Memory poem based on school days and suitable for reading at the end-of-the-year graduation program. To the left you see a picture I showed to stimulate thinking for the third eye poem. It got everyone's attention. I’m glad that’s settled once and for all. And as if that weren’t proof enough, yesterday Google sent me an alert to a link where I discovered that someone named Monique Guzman has written and posted an essay she wrote entitled Ambiguity in Art. The essay was written for her English 203 course. In it she analyzes the mixture of clarity and ambiguity in three poems, one of which is mine! She chose My Husband Discovers Poetry (scroll down to Friday, August 3) and has lots of cool insights into the poem. It is really gratifying to the ego to find one’s poem the subject of a close analysis. And she’s placed me in some very nice company: If I Should Learn, In Some Quite Casual Way by Edna St. Vincent Millay and Death of the Ball Turret Gunner by Randall Jarrell. So this clinches it: I’m a famous poet. I give Ms Guzman an A+. If you’re going to be in New York this Tuesday, please come to my reading. I’ll be reading with Sally Bliumis-Dunn and JC Todd as part of the Indie Press Series at McNally Robinson Booksellers. This must be a large store as they’ve booked Mark Strand for the same night, same time (7:00 PM). So you’ll have to choose which famous poet you want to hear. Cati Porter’s small fruit songs is published by Pudding House Publications in Columbus, Ohio, a small press that puts out a substantial number of chapbooks each year, including their Greatest Hits series. The collection is standard chapbook size, with card stock cover, saddle-stitched. The cover has an attractive and subject-appropriate image of “Self-Portrait as Radiant Host,” a still life of fruit by artist Julie Heffernan. 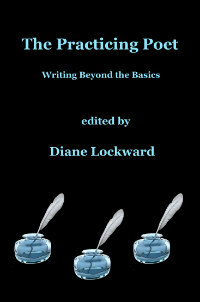 The pale gray cover, if held at the right angle, sparkles with glitter. Inside, the poems are nicely surrounded by black end pages. Although the collection is subtitled “prose poems,” I was not aware of the poems as such while reading. The usual box format is not adhered to in all the poems. Many are broken into stanzas and a number of lines do not reach the right margin. What I noticed was the musicality, the lyricism of the poems. And the unity of the collection. Both qualities I look for in a chapbook. All of the seventeen poems are related to fruit. Yet Porter makes sure that there’s never any danger of the topic growing stale. The poems are lush and juicy and full of longing and sweetness. We find different kinds of fruit—apples, oranges, plums. We find a variety of colors—red, purple, green, white. And we find a variety of fruit-related things—bees, blossoms, honey, gardens, orchards. Throughout the chapbook there is a feeling of abundance. Porter spices up the collection with alluring titles. Several enumerate categories of fruit: “Civil Fruit,” “Fallen Fruit,” “False Fruit,” “Multiple Fruit,” and “Small Fruit.” Others tantalize the reader with their strange fruitiness: “Fructify,” “Fructus Industriales,” “Fruiteress,” “Frutage,” and “Infructescence.” A number of the titles are followed by intriguing epigraphs that provide definitions of fruit-related words or etymologies of them. 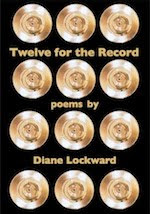 These are poems that show the poet’s lively imagination and skills of invention. There is a surreal aspect to a number of the poems. In “Dreaming the Fruited Damson Tree” we find a woman who falls in love with a fruit tree, marries it, and then eats the offspring as they fall from the branches. In “Fructify” we find a woman’s stomach full of stinging bees, a metaphor for grief. In “Hive” and again in “Infructescence” we find a girl who sprouts flowers from her body. 2. A confection of fruit. [Obs.} nares. her, when the light is a certain shade of ripe. are so many he can hardly consume them all. The only thing I found missing in this delightful collection is page numbers in the Table of Contents. Pages in the collection are numbered, but for some reason the publisher did not include the page numbers after the titles on the Table of Contents page. The publisher might also consider making her website more ordering friendly. There is a link for an ordering form, but it is tucked among numerous other links and difficult to locate as is specific ordering information. However, readers can also order the chapbook directly from Cati Porter’s website. Enjoy Cati Porter's interview with Gayle Brandeis. Listen to Cati’s recording of “Fructify”. Listen to more audios of poems from small fruit songs. On March 15th I ran an event called "Girl Talk." (See earlier post on this.) One of the members of the audience was Isabel Augusto Queijo, unbeknownst to me, a fellow blogger. Isabel picked up a copy of my book, What Feeds Us, and later asked if she could feature one of the poems at her blog. She chose "The Best Words" and posted it yesterday along with some nice links, a cover image, and this very clever photo which she based on the first two lines of the poem: "The ones that sound obscene but aren't, / that put a finger to the flame but don't burn." Check out this slightly naughty poem at Isabel's blog, A Room of One's Own. This was a fun poem to write. I keep an idea journal on my kitchen table. At the back of this little notebook, I collect cool words. I have a fondness for words which sound obscene but have perfectly polite meanings. These are words you can say without getting into serious trouble. After I had a goodly number of such words, I wrote the poem. It was one of those poems that took a long time to write and involved multiple drafts and lots and lots of revisions. But it's one of my favorites to read at readings. I'm always happily surprised by the laughter it evokes, often from people I might have expected to somewhat disapprove. Also check out Isabel's blog. She has some amazing photography posted there. Last year I read about NaPoWriMo—National Poetry Writing Month. I don't know whose brainchild this is, but the idea is that each day in April, National Poetry Month, you are to write a new poem. Voluntary, of course, but once you take the pledge, you're making a commitment to yourself. I can only make a partial pledge. I know myself too well to think I can write 30 drafts in a month. But I am determined to increase my output. So far I'm doing okay with two drafts underway. One reason why I can't make the full commitment is that once I get a draft going, I become kind of obsessive about it if it has some promise. I'm more inclined to dwell on it, revising and revising, than I am to move onto the next new draft. At a certain point in the revising, I find that it's a good idea for me to put the poem aside and not look at it for a while. Then when I go back to it, I find some goofs I'd missed or a new image suggests itself, a better word, a stronger music. The other reason I can't fully commit is that starting tomorrow and for the rest of the week I will be doing a third grade residency. Four one-hour classes for each of five days, plus a professional development workshop after school. Fun but exhausting. I expect to return home each day close to comatose. Then I also have two days of workshops in a girls' high school and two evening readings. I know, I know—excuses, excuses. But honestly, I'm going to aim for ten new drafts this month. That's still pretty good if I can do it. If you care to join in on this project and if you find the occasional prompt helpful and stimulating, I can suggest a few good online sources. Run by Ken Ronkowitz who offers a new prompt each month. All poems and prompts are archived. Ken's been doing this for years now, so there are lots of prompts available. Robert Lee Brewer's blog. Robert is writing one new poem per day, plus taking on the addtional challenge of offering a prompt per day. Last night I participated in a group reading to celebrate the publication of the most recent issue of Lips. The journal was founded twenty-eight years ago by current editor Laura Boss. This issue is a memorial to poet Michael Benedikt, long-time friend and companion to Laura. A terrific crowd of about 60 people turned out for the reading which included 16 poets from the issue. Although there was the background noise typically found at a B & N reading, we had nice big comfy chairs, coffee and cookies, and a microphone that worked reasonably well. Laura began the evening by welcoming the audience and speaking about Michael's involvement in the journal's history. She then invited several poets to read tribute poems to Michael or a poem by Michael. Jim Gwyn read the following tribute poem by Robert Bly who was one of Michael's close friends. The tribute was followed by readings by 16 of the poets who appear in this issue. It was a lovely evening, full of good memories, visits with friends, and poetry. of the cabin roof, the forgiveness high in the air. which is already gone, looking back over its shoulder.